The Racine Parks, Recreation & Cultural Services Department (PRCS) has parks totaling over 1,100 acres. Five community centers and many other facilities are available providing a wide variety of recreational opportunities. It is our mission to preserve our parks and open spaces and provide essential recreational programs and cultural services in a safe, professional and friendly manner. 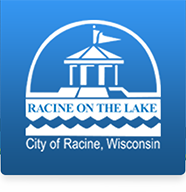 PRCS is a division of the City of Racine government. There are eleven appointed citizens serving the community as commissioners for the Parks, Recreation and Cultural Services Board. The Board holds its regular meetings on the second Wednesday of each month at 5:15 p.m. Residents are invited to attend and are welcome to make suggestions or comments. For further information and location, call (262) 636-9131 or visit the Event Calendar for a schedule of upcoming meetings.